Well this is pretty damn profound for a character that everyone believes is just a psychotic, sociopathic masked vigilante, just goes to prove that you should never judge a book by its cover… oh and if you disagree with him, he will literally break every bone in your body!!! 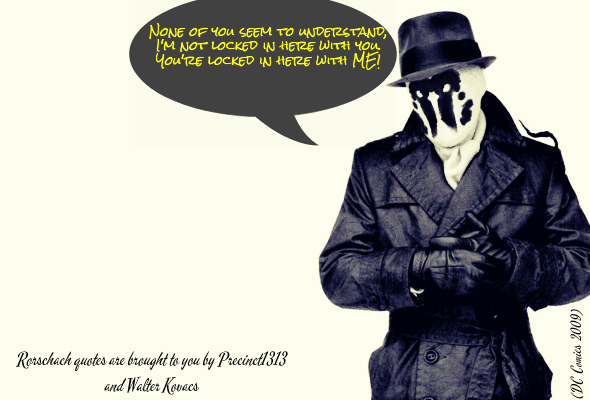 Rorschach; bringing unstable masked vigilantism to the masses since 1986! *By ‘should be fine’ we mean it absolutely won’t be, and you should probably put your head between your legs and kiss your arse goodbye! Rorschach – Bringing unstable masked vigilantism to the masses since 1986! Are Supervillains getting you down? Tired of having sand kicked in your face by the Joker? Well we have you covered, the next time Bane gets all up in your face just quote a line from Rorschach’s limited vocabulary and watch as those masked SuperVillains run for the hills. 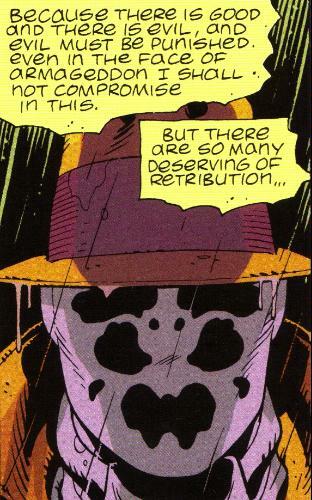 Rorschach: bringing unstable masked vigilantism to the masses since 1986! Pax Americana #1 is another chapter in DC Comic’s ongoing Multiversity saga, the multiple universe spanning story that takes place on alternate Earths, giving the reader variant versions of their favourite characters, Pax Americana tells the story of Earth 4’s heroes and villains. Written by Grant Morrison, this is definitely his version of the classic 1980’s award winning comic The Watchmen. Set on Earth 4, it tells its story in an intriguing new way (which I won’t spoil here – go read it friends), when the President of the United States is assassinated, heroes Blue Beetle, Captain Atom, The Question, Nightshade and Peacemaker come together to unearth the truth behind the secrets and lies of his assassination. What really cements it as a Watchmen homage are the DC characters chosen to star in this new Multiversity story, The Question is the original template for vigilante Rorschach, Captain Atom was the original Dr Manhattan and Blue Beetle is the character that Nite-Owl was based upon. Morrison’s love of Alan Moore’s Watchmen shines bright in this comic, a fantastic story in its own right, and a must buy for all fans of The Watchmen. 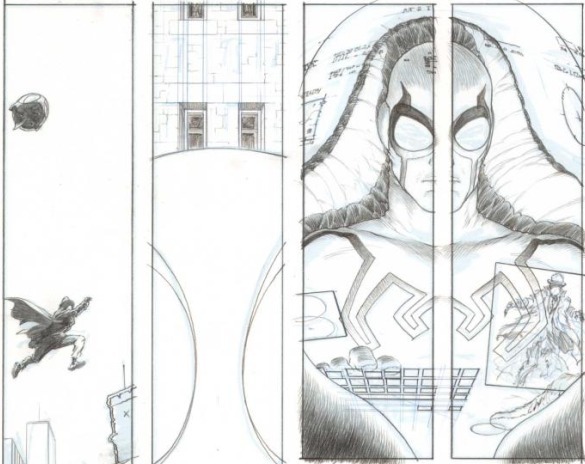 Pax Americana #1 is written by Grant Morrison, with cover and interior art by Frank Quitely. 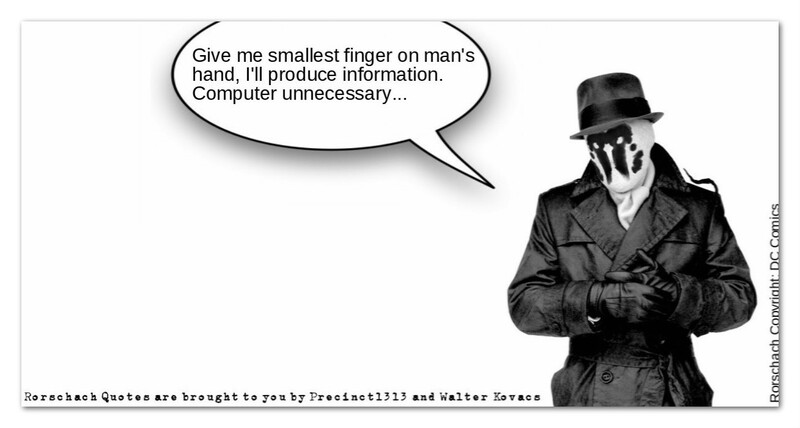 Walter Kovacs aka Rorschach was created by Alan Moore for the 1986 comic-book mini series ‘the Watchmen’. 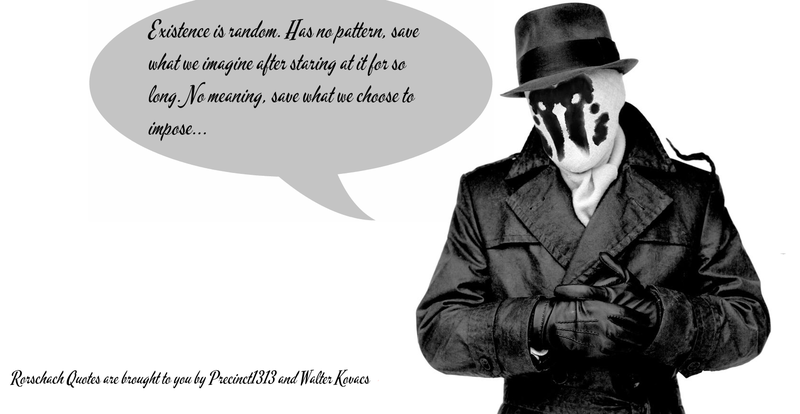 Rorschach like the other members of the Watchmen, is based upon other earlier Charlton comics characters..with Rorschach being inspired by the Question. The Watchmen is a ground breaking series of comics that introduces us to the darker more violent psyche of the superhero , and none are as dark or as psychotic as Rorschach. Rorschach grew up in the slums with his mother who was a prostitute, seeing the seedy side of life at an early age changed him and as he grew up he vowed to bring the guilty his own brand of violent justice. Wearing his infamous ink blot mask, Rorschach wreaks vengeance upon the criminal underbelly and though he has no super-powers he is an extremely gifted combatant, intelligent and sociopathic..Rorschach is a very dangerous and volatile foe, feared by many. In 2009, the film version of the Watchmen was released..directed by Zack Snyder it was a fantastic translation of the original comic series, Rorschach was played brilliantly by Jackie Earle Haley. The film is very close to its original source material and is highly recommended.